DENVER, N.C., Nov. 20, 2018- Local disabled veteran, Angela Cherico and her family are the first recipients of a nearly complete home built by Purple Heart Homes in Denver, N.C. that will come equipped with a SunPower® solar system. Donated by SunPower and installed by Renu Energy Solutions, the system will provide Cherico with greater energy independence, lower electric bills, and added peace of mind. “My daughter and I will have two of the most important things: stability and security,” said Cherico, whose service experience included two deployments to Iraq. She continues that while there, exposure to burn-pits may be responsible for her ongoing breathing problems, complicated further by post-traumatic stress disorder (PTSD), and back and neck pain. Thanks to local solar energy company Renu Energy Solutions (https://www.renuenergysolutions.com) installing high quality SunPower solar panels on the home, Cherico and her family can enjoy lower electricity bills. By spending less on utility costs, the Chericos will have more freedom in their budget for other important things. Plus, they’re happy to have access to clean, renewable energy. 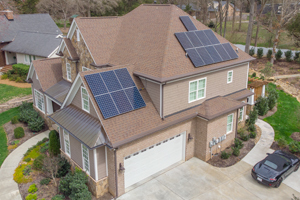 Founded in 2010, Renu Energy Solutions is a Charlotte, N.C.-based full service solar energy installer in the Carolinas, and developer of clean energy projects across the country. By analyzing the financial benefits of a project, Renu Energy’s experts help facilitate solar adoption. Purple Heart Homes is a 501(c)3 nonprofit organization founded by Dale Beatty and John Gallina, two Iraq combat wounded veterans on a mission to provide housing solutions for Service Connected Disabled and Aging Veterans that are substantial in function, design, and quality. Purple Heart Homes has two programs: Veterans Aging in Place (VAIP), which encompasses the Operation Veterans Home Renovation Project (OVHR), and The Veterans Home Ownership Program (VHOP). From building a ramp for wheelchair-bound veterans to providing home ownership opportunities to veterans with physical as well as invisible injuries, Purple Heart Homes’ programs are designed out of necessity and fit the specific needs of veterans of all ages and from all eras, helping them to live and age in place, in their own safe, accessible and sustainable homes. For more information, visit (www.phhusa.org). Purple Heart Homes – Improving Veterans’ Lives One Home at a Time. The N.C. Sustainable Energy Association recently headed up the creation for the first ever code of professional conduct for solar installers who contract with residential and commercial clients for full-service solar projects. As reported in the Charlotte Business Journal Duke Energy is running rebate program from 2018-2022 that’s offering savings on projects for eligible customers. Renu Energy Solutions joins with several other members of the organization of sustainable energy businesses to establish baseline professional codes for the industry. 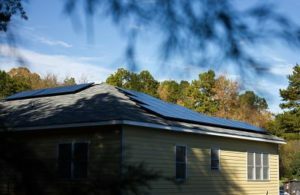 When Duke Energy rolled out solar rebates this past spring — mandated by last year’s Competitive Energy Solutions for NC Act — North Carolina notably jumped back up into the top-tier market for residential and commercial solar. From this point on, NCSEA will not accept new members or retain existing members who do not adhere to the professional conduct described in the code. “We want to be able to assure the public that our members are upholding the highest standards in the industry,” he says. Renu Energy Solutions and other signatories pledge to refrain from deceptive or misleading advertising, never refer to renewable energy as “free” when it isn’t, or to inflate the impact of future rate increases by utilities to solar seem more attractive. 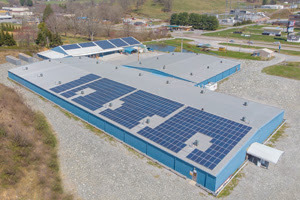 At Renu Energy Solutions in Charlotte, which has grown in recent years to employ 30 people at our Charlotte and Jamestown offices, we’ve by and large heard few reports of solar companies preying on customers’ lack of knowledge. 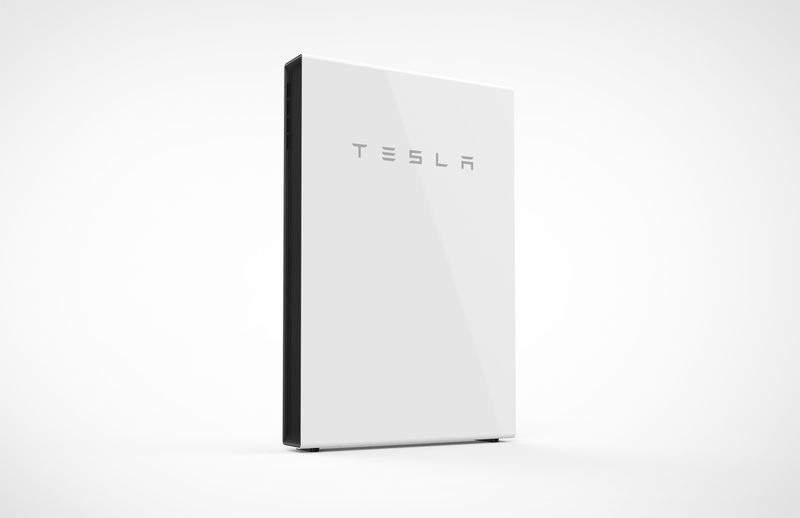 The solar ecosystem here is filled with high-quality firms. But in light of the 60 cents per watt rebate for residential solar, perhaps this code of conduct is overdue or at least well-timed. These incentives can lure all kinds of solar players and we hope to consumers can feel confident choosing someone who’s a part of this code of conduct. 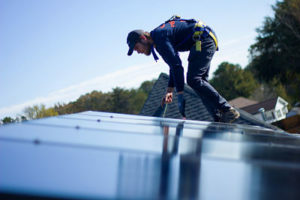 We know that any time one person or company has a bad experience with a solar installer, it’s a detriment to all of us. Where did these standards come from? NCSEA and its members reviewed codes of conduct from other states, including in particular South Carolina and California, to develop some initial proposals. Through meetings and conversations with its 27 solar installation and financing members, the group made refinements until the companies finally adopted it. Look at it for yourself and learn what it means to abide by the NC solar installers’ code.